Earlier this year music legend Sir Elton John announced he will embark on a global farewell tour from 2018 onwards. The singer originally announced a modest four dates for the UK and Ireland leaving fans eager for more regional dates to be added. Today the icon has announced a fourth and fifth London date as part of the mammoth Yellow Brick Road farewell tour. Tickets for the shows are on sale now. Since releasing his debut solo album in 1969 Elton has become one of the best selling solo artists of all time. Elton has released 30 albums featuring over 50 Top 40 hits and bagged a total of 38 gold records. 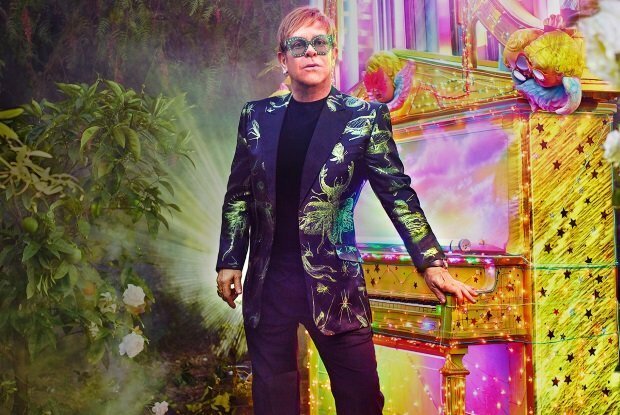 The Rocket Man himself is set to play 300 concerts worldwide as part of the Yellow Brick Road tour, which kick started this September in the USA. His final curtain call is said to be in 2021. The newly added 2020 dates kick start on Wed 4 Nov with three consecutive nights at The O2 Arena in London. Elton will go on to play back to back nights at each arena before a final show on Wed 16 Dec at The O2 in London. If the 2019 dates are anything to go by tickets for Elton's final UK shows will sell out fast. We'll continue to update this article in the event of additional roll dates. Tickets for Elton John's 2020 live dates go on sale at 10am on Fri 16 Nov. The remaining VIP packages for the 2018 dates are on sale now. Classic tunes from the veteran singer-songwriter's five decade career as he heads on his final 'Farewell Yellow Brick Road' tour.